Join Modern Albuquerque LLC and CHED Designs’ Ted Janka on Saturday, April 27th to explore five highlights of Albuquerque’s mid-century modern design up close and interior! 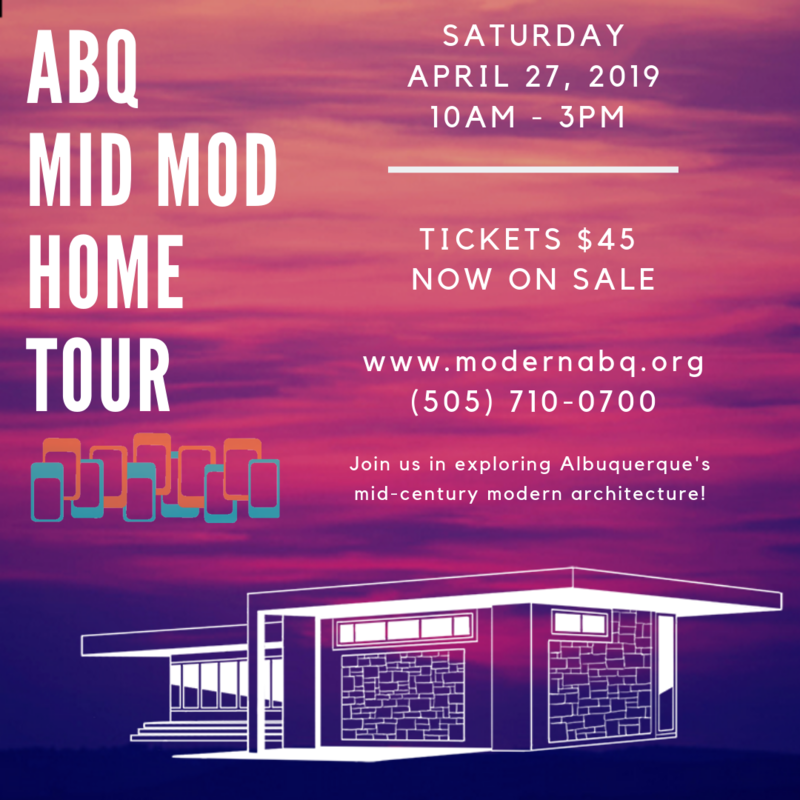 From inspired, architect-designed homes to others built by savvy merchant builders selling stylish slabs of the American Dream, the ABQ Mid Mod Home Tour will showcase a snapshot of modern Albuquerque too often ignored. The homes on the tour date from 1953-1965. And with such varied features as hairpin-leg supports, an interior garden, floor-to-ceiling glass windows, and even a bridge, they were carefully selected to represent the best of the city’s modern design, situated in neighborhoods alongside other exemplary mid-century properties. A sixth iconic modernist property will serve as the event’s check-in location. Ticketed attendees will also receive a Buy-One-Get-One promotional code for use with our Hairpin Legs modern architectural walking tour. This code will be distributed at the event and is valid until September 2, 2019.